Torres Select Iberian Ham Potato Chips, 4.41 oz. 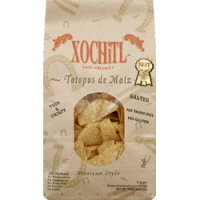 Xochitl White Corn Tortilla Chips, 16oz. Late July Organic Sea Salt Tortilla Chips, 11oz. Late July Organic Chia & Quinoa Corn Chips, 11oz. Late July Organic Sea Salt Lime Tortilla Chips, 11oz. Late July Organic White Corn Cantina Dippers, 8oz. Late July Organic Ranch Multigrain Tortilla Chips, 5.5oz. Late July Nacho Chipotle Chips, 5.5oz. Terra Sea Salt Plantain Chips, 5 oz. Terra Sweet Plantain Chips, 5 oz. 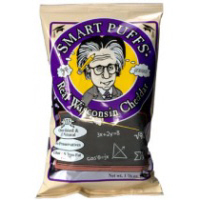 Terra Sea Salt Taro Chips, 6 oz. TRC Coconut Flour Himalayan Pink Salt Tortilla Chips, 5.5 oz. 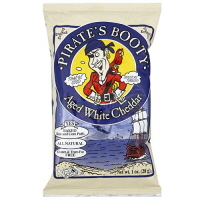 TRC Coconut Flour Sea Salt & Vinegar Tortilla Chips, 5.5 oz. Siete Sea Salt Tortilla Chips, 5 oz. Siete Lime Tortilla Chips, 5 oz. Snikiddy Hot & Spicy Baked Fries, 4.5 oz. Vegan Rob's Brussel Sprout Puffs, 3.5oz. Vegan Rob's Cauliflower Puffs, 3.5oz. 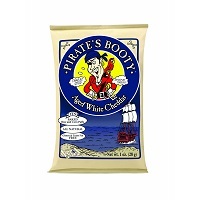 Hippeas Vegan White Cheddar Chickpea Puffs, 4 oz. Hippeas Bohemian Barbecue Chickpea Puffs, 4 oz. Cello Whisps Cheddar Cheese Crisps, 2.12 oz. Cello Whisps Parmesan Cheese Crisps, 2.12 oz. Cabo Chips Original Tortilla Chips, 10 oz. Cabo Chips Blue Corn Tortilla Chips, 10 oz. Garden Of Eatin' Organic Blue Corn Tortilla Chips, 8.1oz. Garden Of Eatin' Organic Red Hot Blues Corn Tortilla Chips, 8.1oz. Good Health Avocado Oil Lime Ranch Kettle Chips, 5oz. Kettle Brand Backyard Barbeque Potato Chips, 1.5 oz. Kettle Brand Sea Salt Potato Chips, 1.5 oz. Kettle Brand Sour Cream & Onion Potato Chips, 8.5 oz. Kettle Brand Salt & Pepper Krinkle-Cut Potato Chips, 8.5 oz. Late July Organic Mini Peanut Butter Sandwich Crackers, 8-1.12oz. SeaSnax Organic Roasted Seaweed Snack (Onion), 0.18oz. SeaSnax Organic Roasted Seaweed Snack (Original), 0.18oz.